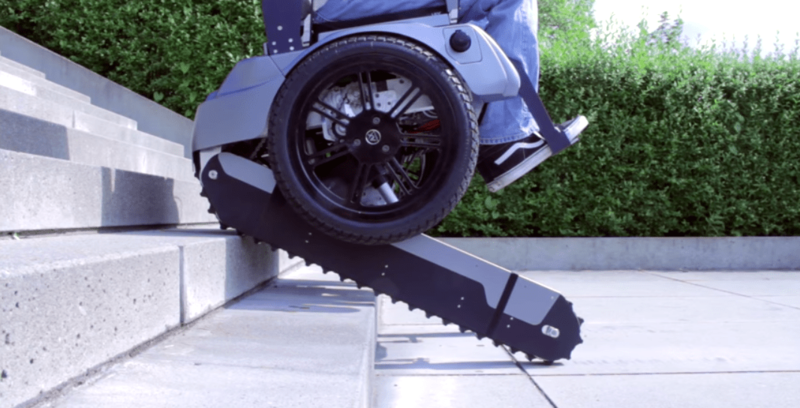 Scalevo Wheelchair Can Climb Stairs! Thanks to a group of 10 Zurich engineering students at the Swiss Federal Institute of Technology (ETH) and industrial design at the Zurich University of the Arts, the lives of people who are wheelchair-bound is about to change–in a big way. A new type of wheelchair, dubbed the Scalevo Wheelchair, allows users to climb stairs without any assistance. Wheelchairs have come a long way since their invention in 1783. They have become streamlined, motorized, and some can even handle extreme terrains and help young people with disabilities go on swings! The Scalevo is one more step in the quest to help make wheelchair-bound lives more free and able.